A while ago I wrote about the old scout hut in Leomansley, triggered by the chance discovery of an old girl guides badge in Moggs Lane (does anyone call it by that name these days I wonder? I’m going to try and resurrect it – it’s much better than calling it ‘the lane that runs past Martin Heath hall towards the football pitches’). The hut is believed to have originally been a cadet hut, from one of the first world war training camps on Cannock Chase. There is a fantastic section on the Staffordshire Pasttrack website regarding the training camps, including a description of the huts themselves. After the war, many were sold off to towns and villages for use as village halls, workshops, and here in Lichfield, a youth club. 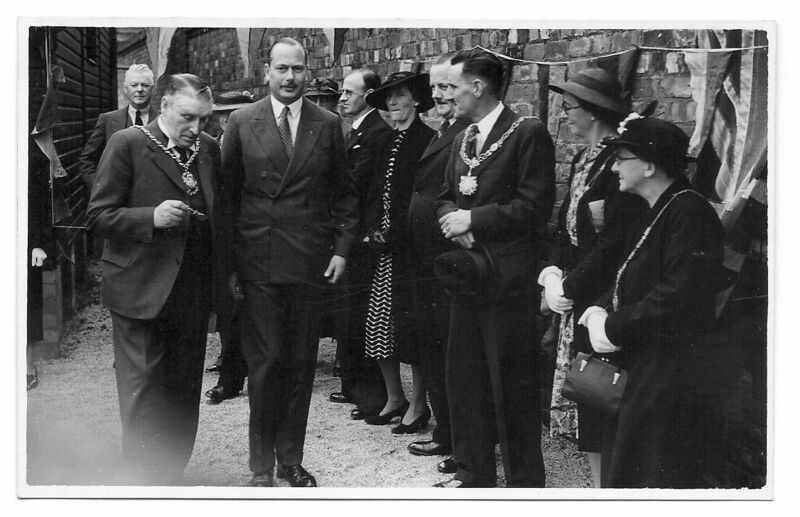 Colin Halfpenny sent me two photographs featuring his father, Frank Halfpenny, and other civic dignitaries welcoming the Duke of Gloucester to the hut in Leomansley in 1939. At the time it was being used at the headquarters of the Christ Church Boys Club on the Walsall Rd but was eventually taken over by the 6th Lichfield Scout Group. The hut was replaced by a new building in 2009. 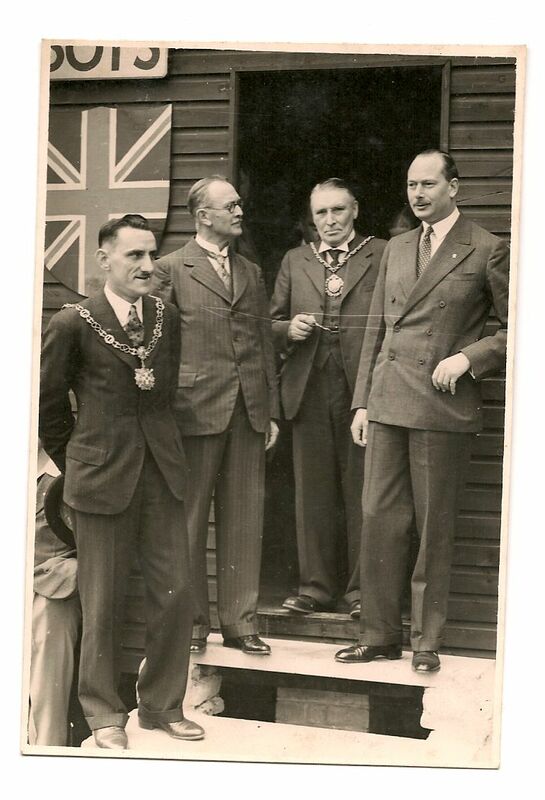 Cllr Frank Halfpenny (the Sheriff of Lichfield), Alderman Tayler (the Mayor) and the Chairman of the Youth Club Committee stand on the steps of the hut with the Duke of Gloucester in 1939. I have also started to read about Brindley Heath, where the abandoned huts of the military hospital were taken over by the West Cannock Colliery Company, providing homes for miners and their families until the 1950s. Imagine the stories held within the walls of these simple wooden buildings – those of thousands of men, who called them home (possibly for some their last) as they trained for life, and in far too many cases death, in the trenches abroad. Once peace was restored, there were new chapters in the stories of the huts themselves, with each one put to a new use amongst a different community. As the centenary of the first world war approaches, I wonder if any of them are still around in our towns and villages, or have they all now been replaced? With thanks to Colin Halfpenny for the photographs. Edit: One of the huts may have been used at Snibston in Leicestershire, as a temporary residence for the Vicar whilst he waited for his new vicarage to be built. Also it appears that the memorial hall and men’s club at Glascote, Tamworth was also a former army hut.